This historical fiction begins in 1540 and follows the tragic life of seventeen-year-old Alys, a young peasant girl in Tudor England. Alys grew up on the moor with a harsh foster-mother called Morach, the local wise woman. But turning her back on superstition and the pagan arts, Alys decides to join a nunnery. For a time she finds contentment in this orderly sanctuary. She enjoys the rigid structure, comparative luxury, and the safety afforded to the Holy Sisters. But Alys happiness is short lived. One night the monastery burns to the ground, a casualty of King Henry’s Reformation, and the young woman is summoned to the local castle to work as a scribe for the ailing lord of the manor. Here she falls in love with his married son and heir, Lord Hugo. She grows intently jealous of the Lady Catherine, and seeks to replace her in Hugo’s bed. Calling on all the cunning tricks she recalls from living with Morach, Alys devises a difficult, disturbing plot to gain her heart’s desire. At this point the novel slips into magical realism. Gregory’s story has many Faustian overtones. Alys conjures up the powers of darkness to possess the man she fixates on, aware that her actions are prompted by self-promotion rather than genuine love. By the end of the book the Wise Woman is exposed as self-centered, unlikable, and evil – and therefore she meets with a hellish end. The Wise Woman can also be read as a morality tale. Although Alys is a victim of historical circumstance, feudalism, and gender, she serves as a warning against forbidden love and obsession. She tries to take the rightful place of another woman – a place where she can never truly belong. Alys discovers she has the power to unleash terrible things on the world, but by the time she realizes she has little control over them, it is too late to go back. She sinks further and further into witchcraft. I enjoyed the atmospheric setting of Gregory’s novel, and not expecting to sympathize with the central characters I was pleased to find them portrayed in a refreshingly honest way – warts and all! The historical research is sound and convincing, and any book set in the medieval era must acknowledge the common superstitious beliefs of that time. This is not a feel-good story. It suggests everything in Alys’ world is a sham – magic, life, love, faith, and family. But one of the great joys of reading is the ability to close the book at any point and find yourself back in the twenty-first century! 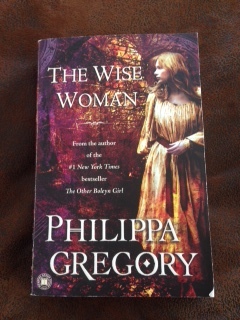 This entry was posted in Reviews and tagged herbalism, magical realism, Philippa Gregory, review, The Wise Woman, witchcraft. Bookmark the permalink.